On Saturday 1st December, the Malta Philharmonic Orchestra performed at the prestigious Carnegie Hall in New York, as part of the MPO Valletta 2018 International Tour. This is one of the most prestigious venues in the world for both classical and popular music, consisting of three auditoriums and more than 3,600 seats. 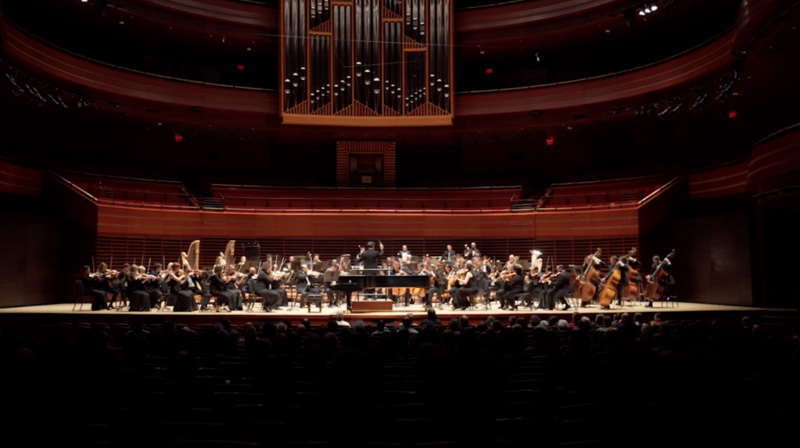 Within the same week, the MPO also performed at the Kimmel Center for the Performing Arts’ Verizon Hall in Philadelphia, and the Music Center at Strathmore in North Bethesda, following a concert at the Mediterranean Conference Centre in Malta which kickstarted the orchestra’s international tour. The MPO will now be heading to Russia to complete the final leg of their international tour, where they will be performing at the Moscow State Tchaikovsky Conservatory Grand Hall in Moscow, and the Mariinsky Theatre in Saint Petersburg on the 5th and 7th December. Under the baton of Sergey Symbatyan, this season’s tour concert sees the Orchestra open with Rebbieħa, a symphonic poem written by the late Gozitan composer Joseph Vella. The orchestra is then be joined by Austrian pianist Ingolf Wunder for Alexey Shor’s Travel Notebook suite for piano and orchestra. The concert comes to a close with Dmitri Shostakovich’s Fifth Symphony. Written months after his official denunciation, at the height of the Soviet Union’s Great Purge, Fifth Symphony famously ends with a cheerful finale that contrasts starkly with the tone of the rest of the work.